No one can forget the devastating aftermath of a suicide bomber detonating in a crowded bus. But what happens to the survivors of such indiscriminate and horrific attacks? Will the physical and emotional scars overwhelm them, or will they be able to transcend the traumatic experience and lead healthy and fulfilling lives? Many of those who survive are able to grow and thrive, as described in Living Beyond Terrorism. 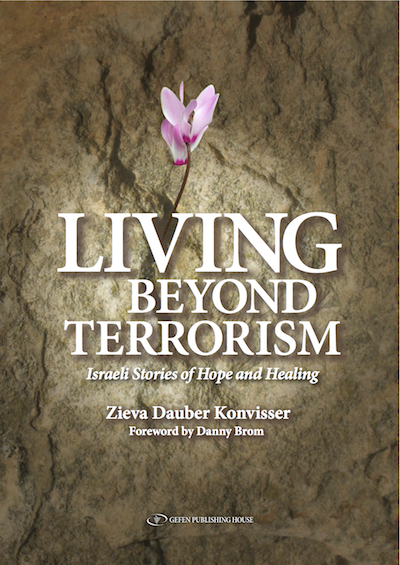 This book shares compelling stories of hope and healing, as told by ordinary people who – while riding in buses, dining in restaurants, shopping in markets, studying at colleges, visiting hotels, or walking along the street – suddenly became the innocent victims of indiscriminate terrorist attacks in Israel, primarily between 2000 and 2006. Forty-eight survivors and relatives of survivors and victims discuss their remarkable life journeys – from terrorism to hope and optimism and from grief to meaning and healing; they speak not just of moving on with life as usual, but of moving forward with new purpose, contributing to society, and turning tragedy into action. They bear witness to their experiences in order to make sense of them as best as they can, and to help others. The powerful stories in Living Beyond Terrorism are testimony to their inner strength and determination - a victory of the human spirit - and inspire each of us as we meet the challenges in our lives.